We are excited to bring you a selection of high quality spirit wear through an easy to use online store. 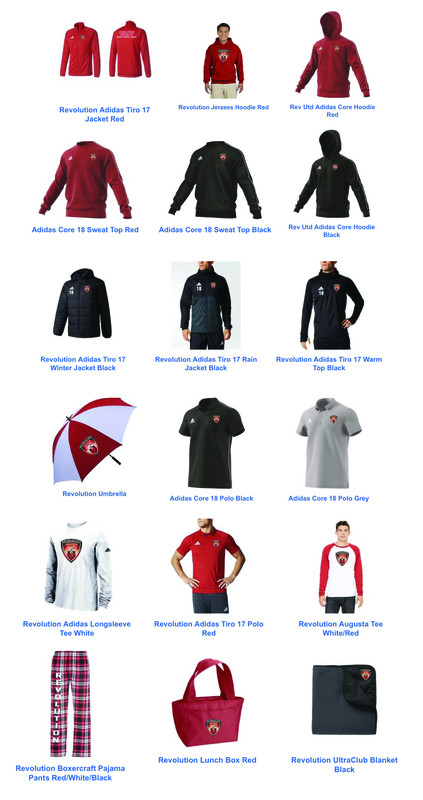 We have partnered with Soccer & Rugby and Adidas (our gear sponsor) to offer high quality spirit wear for both players and parents, and anyone else who wants to support our programs. We look forward to seeing you in your Revolution United FC spirit gear on the sidelines and in your towns. Thank you for your support!